I offer in evidence document Formulas, and notes from applied Statistics to the Social Sciences, which brings together the main statistical formulas and notes theoretical collected from the books of Luis Camarero Rioja et al. 2010. Statistics for social research. Ibergarceta; and Alejandro Almazán et al. 2011. Statistical analysis for the social research. 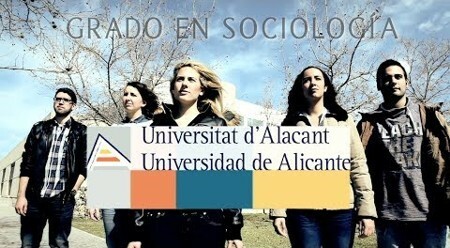 Ibergarceta, which constitutes respectively the manuals basic subjects in social Statistics applied to social sciences I and II of the plans of study of Degree of Sociology at the UNED. This document has no purpose is pedagogical, since you will not find in it explanations in extension or examples, beyond the main formulas and some notes in theoretical Statistics applied to the Social Sciences. 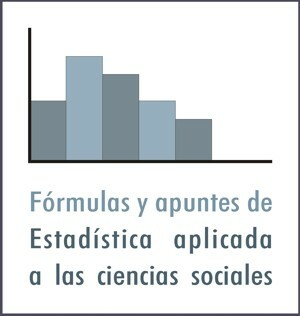 The purpose of this document is to provide a support tool for both the professional and the student who has mastered the basic knowledge of applied statistics to the social sciences, so that when you make practice of social research which requires the use of statistics, can have a reference material which concentrates the main formulas and theoretical elements useful to solve most of the problems you might have. Therefore, the content of this document, in the absence of accurate explanations and exposition of examples, is not suitable for the learning of the statistical focus of the social research. 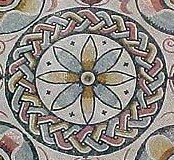 To do this it is recommended that the reading and understanding of the manual. While there are many other manuals which learning would serve to understand the formulas and notes theorists that are compiled here, in this document, the contents have been structured in the same order as the manuals listed above. Most of the tables and graphs are author’s own, except a couple of them that have been extracted from the first manual, as well as the tables of the annexes can be found at the end of the document. Is attached to the document by using embed code from Scribd, with a link to this platform to download. The download is free if you have an account on Scribd. However, for those who don’t have an account on Scribd, I run also this download link: Formulas and notes applied Statistics for the Social Sciences. Also attached this link to a document more full of the Main tables for use in Statistics. In the practice of social research, when working with crowd data, the statistical operations necessary is usually to speed up with the use of so-called statistical packages, such as SPSS, SAS, ASPP, R, etc., and two recent distribution-free. However, and since that’s really the preparation of this document is more focused on the beginner who tries to understand the main fundamentals of statistics and their application to the field of the social sciences, especially to students, that at the time of facing the tests of this matter is not allowed in the use of computers, which can not solve the exercises with specific software such as statistical packages, but may make use of calculators to solve the exercises of the examination; but many times this involves a genuine effort to develop skills fast with calculators. For this reason, attached two videos very interesting taken from the web www.pacosaez.com, where are explained very clearly the options available in statistical calculation that have the most scientific calculators, and that can be very useful, not only to expedite the resolution of the exercises of a review, but also to solve small problems that arise in the development of the research practice and that it would lose more time if you have to turn on the computer and log on to a statistical package. Next Article is Physical, social or sociology?